Oh man, we sure love cats! What other pet frantically runs around the house at 4 AM to let you know that they're okay. You can also rely on them to knock over every water glass, helpfully reminding you to bring the glassware into the kitchen. Who else is going to climb under the covers while you're trying to make the bed every morning? Plus, they'll loyally sit by your side even at all times, even when you're trying to use the bathroom!. 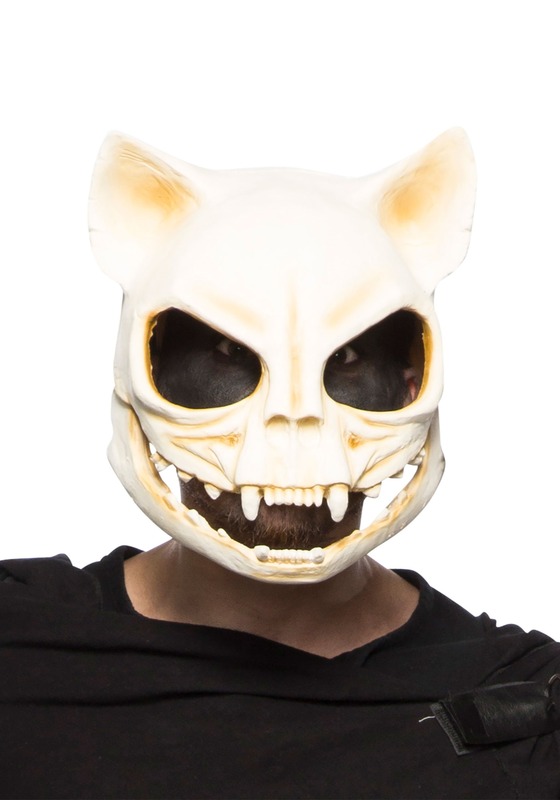 If you're a steadfast fan of the feline breed, then you'll love to wear this cat skull mask. The full mask is crafted to look like bone and features mesh covering over the eyes and mouth so you can easily see and breath. Wear the mask and engage in strange behavior with your cat companion, like fitting inside of small spaces (get out your shoe boxes) and knocking over all the house plants!